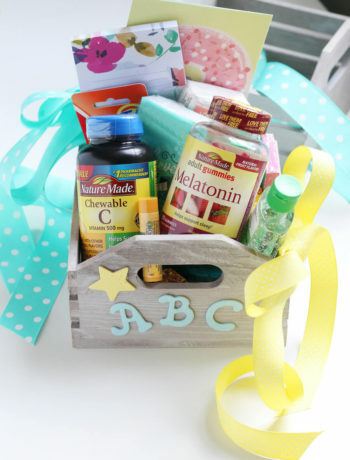 So, Amie and I want to know…which one is your favorite? 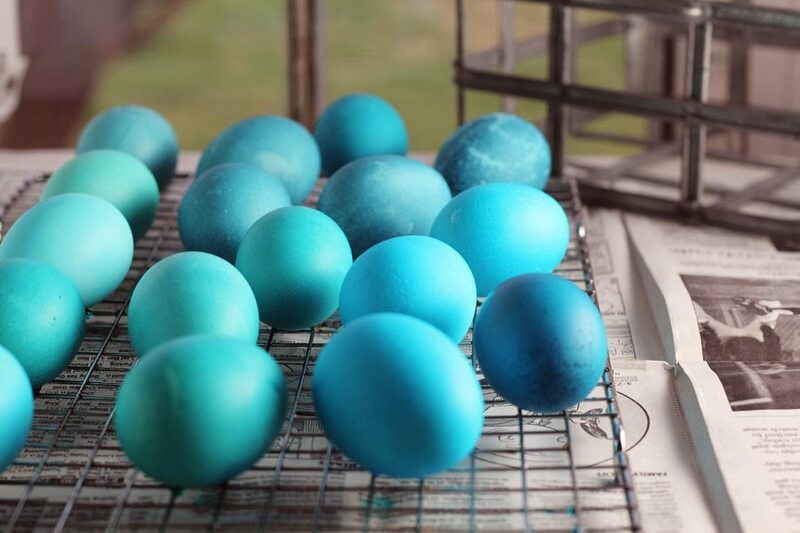 First things first, start with hard boiled dyed Easter Eggs. 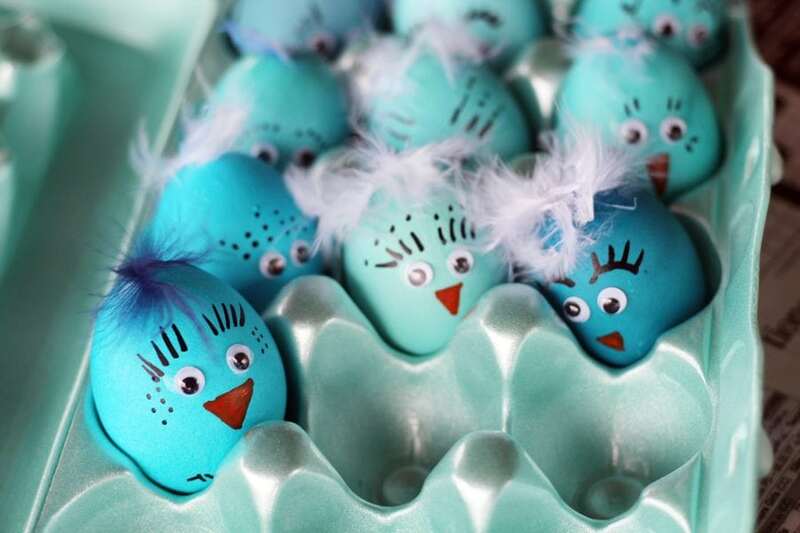 You can use different shades of blue like we did, or go for traditional yellow Easter Egg Chicks. All up to you. We wanted little blue birdies. Place raw eggs in the bottom of a large pot. 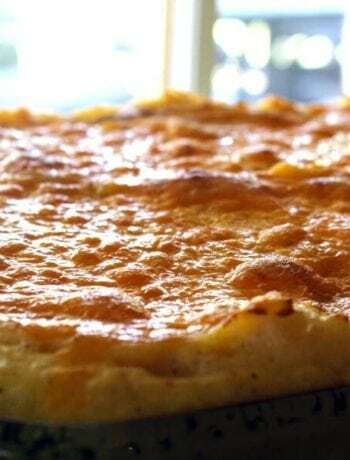 Run cold water over the eggs until they are covered by at least 1 inch of water. Bring the eggs to a boil on the stovetop. Boil for one minute. Cover with a lid and remove the pot from heat. Let sit for 10-12 minutes. Drain the eggs and run cool water over them until you can handle them. Let dry. Since we are using all the same color (and shades of), this is for bulk-coloring. Bring 5 cups of water to a boil. Pour the water into a large clear glass bowl. Stir in 5 tablespoons of white vinegar. Stir in 40 – 60 drops of food coloring of desired shade. Gently lower all of the eggs into the bowl, one at a time, until they are all covered with the colored dye. 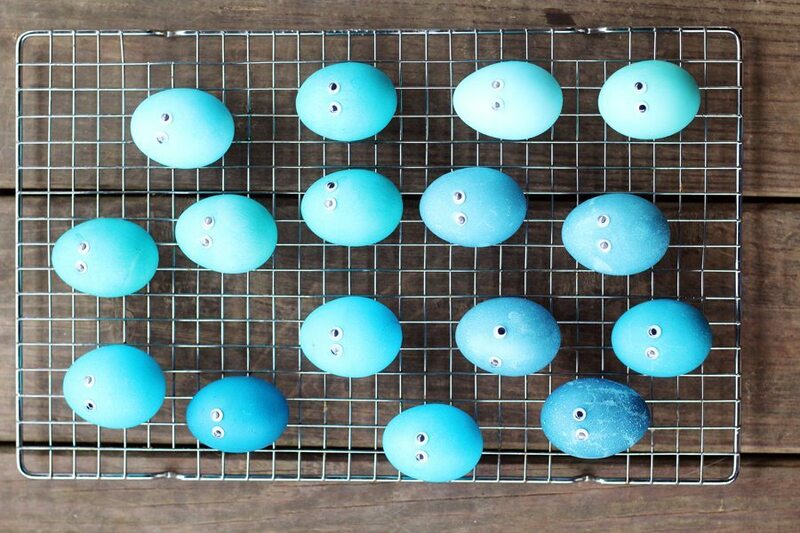 Place the eggs on a wire rack to dry. Now that we’ve gone over the basics, let’s get back to our little blue birds. 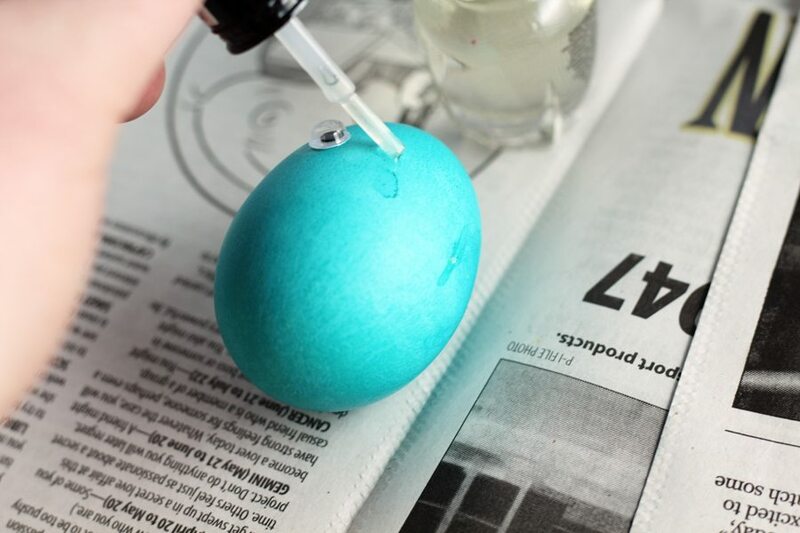 Using clear fingernail polish (or fast-drying glue if you are a well-prepared family), attach two googly eyes onto each dyed Easter egg. You can space them close together or far apart. 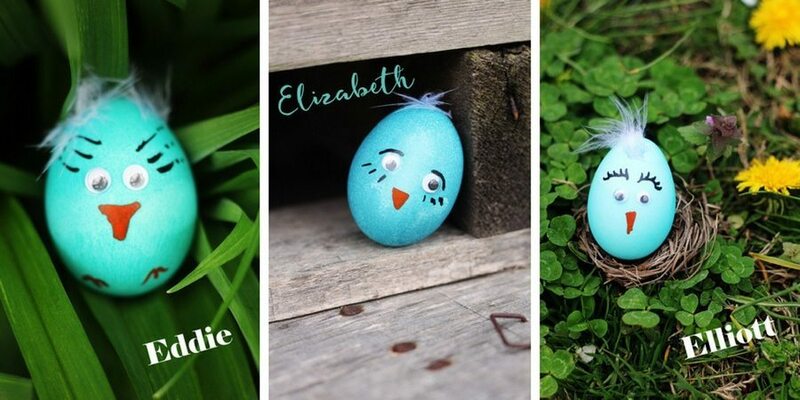 Placing them in different places on the egg helps give each Easter egg chick its own look. Check out our Ultimate Slime Recipe for more Fun with the Family! 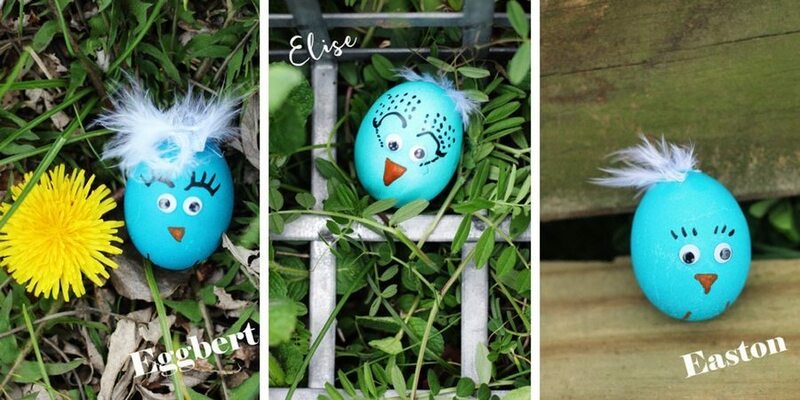 To create the little Easter Egg chick faces, use paint pens or magic markers to draw little orange beaks, feet and eyelashes. If you don’t feel confident in doing this part, practice on paper first. And really, they don’t have to be perfect. 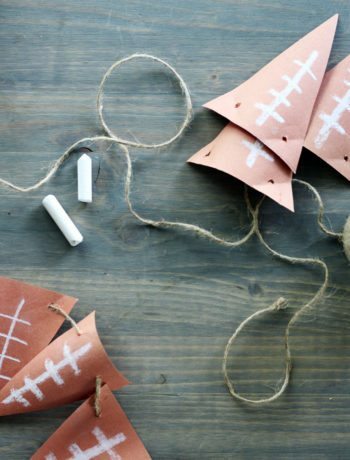 Just have fun and let the kids in on this action. Trust me, they won’t remember the time you smudged the beak on your Easter Egg Chicks. 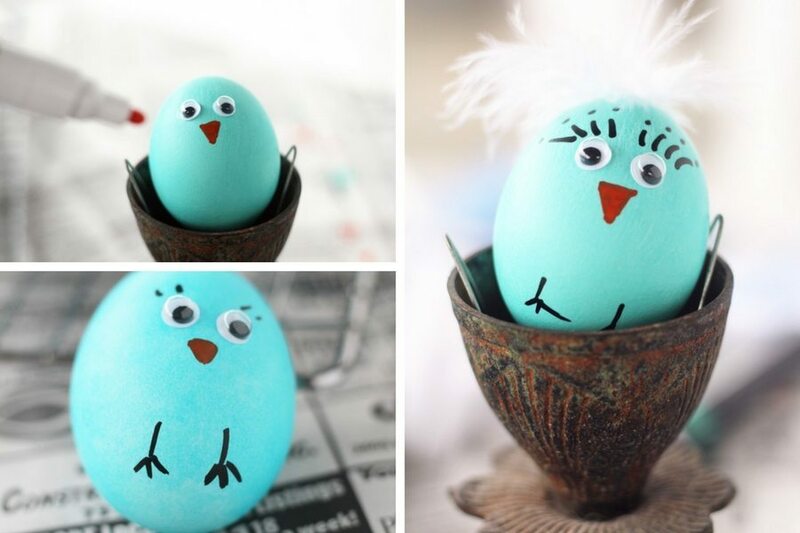 But they will always remember the time they helped you make the cutest little blue bird eggs ever. Once you have the eyes on and beaks colored in, time for the feathers. This part can get a little messy, but to keep your hands from getting sticky, use tweezers to stick the feathers into the fingernail polish or glue. 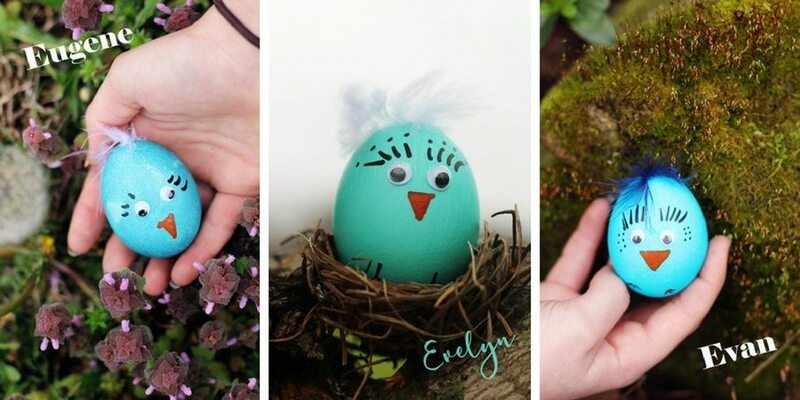 Simply brush on fingernail polish or glue where you want feathers, then rip a few fuzzy feather pieces and stick them to the Easter Egg Chicks. We put them on top of each chick’s head, but you can add them to the side for wings, or to the butts for little tail feathers. Look at all these little blue birds! We let our imagination get the best of us, and my daughter and I decided to have an Easter Egg photo shoot. 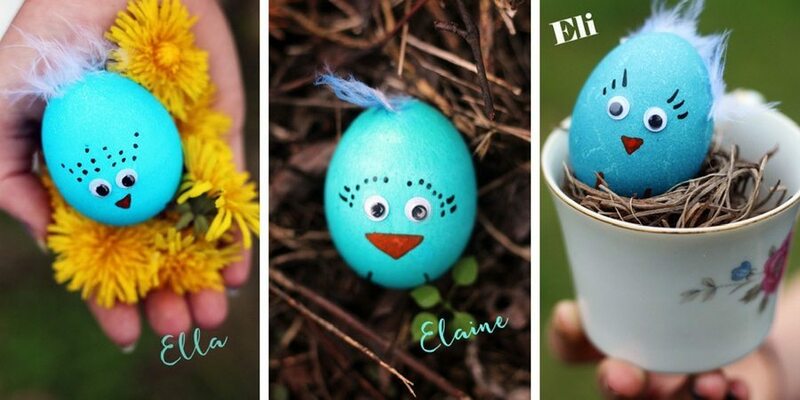 And yes, they all received names starting with the letter E.
Giving each of them a name and personality makes finding them during an Easter Egg Hunt so much more fun! 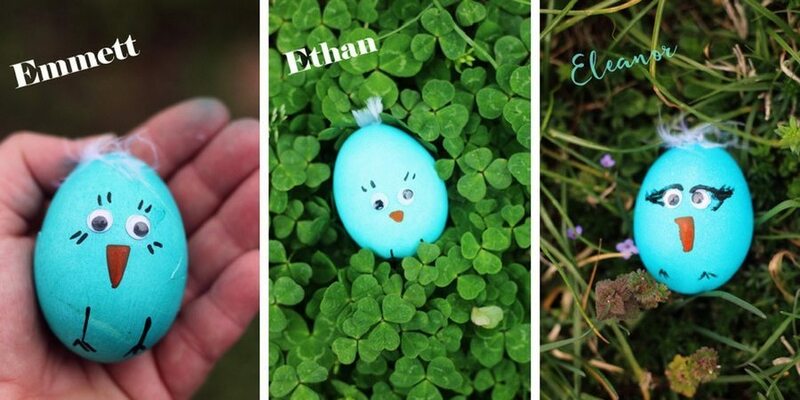 Which one of these adorable Blue Bird Easter Egg Chicks is your favorite? Oh wait, there’s one more. 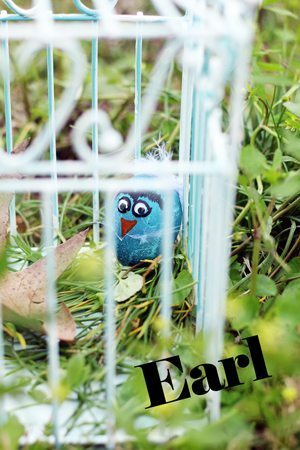 This little angry fella….Earl.